Campok offers an application of "social gaming." The idea is to socialize with friends and meet new people while playing poker. Campok integrated webcams onto the online poker tables to humanize the online poker experience and offer a game application without financial risk (as the app is play-money driven). 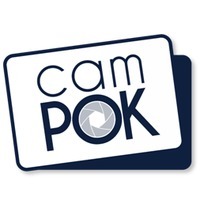 Campok comes from "Cam" as "Camera" and "Pok" as "Poker". Campok offers the first social game in the world with webcam. This new "Made in France" technology can enrich the gaming experience online and bring the experience closer to a “live” game.